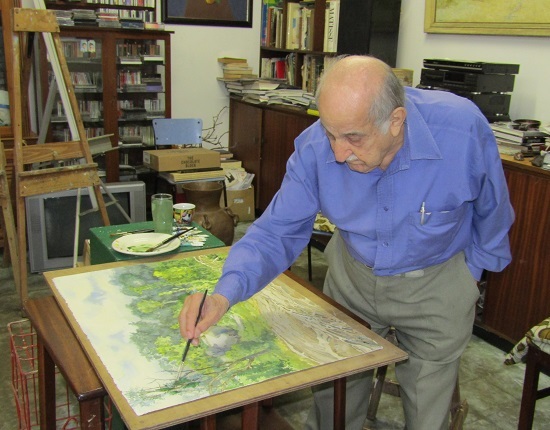 DIAMOND Bozas is Eshowe’s resident artist and has been since the Bozas family moved to the area in 1930, mainly to avoid the malaria which had struck down both Diamond and his mother when they were living in Empangeni. Diamond’s father, Alexander, was a baker who had arrived in South Africa from Greece by way of Cairo and Lourenco Marques (now Maputo), and the bakery was to be the bane of Diamond’s life, with familial duty interfering with his desperate need to become an artist. He worked in the bakery from 1943 to 1954, when he took extended leave of absence and travelled to England to further his art studies. While there, in 1958 he travelled to Greece to meet his father, who was visiting members of his parents’ extended families, and it was during the trip that he met and fell in love with Anastasia, who very quickly became Mrs Diamond Bozas. After a total of five years in London, the pair returned to Eshowe in 1960, where Diamond once again took charge of the bakery and Tasia (as she was known) began to learn English. The bakery business grew and by the 1970s it was running double shifts and still not being able to keep up with demand. By 1975 it had reached a stage where the Bozas family needed either to invest millions in a new more modern bakery, or sell. It was decided to sell, and finally – at the age of 52 – Diamond was free to run his nursery and concentrate on painting and flower arranging. 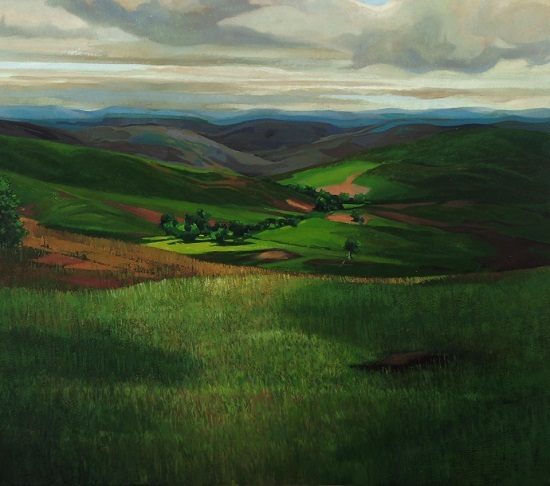 In the four subsequent decades, he has continued his love affair with the landscapes around Eshowe, and there is possibly no artist anywhere in the world with the ability to capture the subtleties of light and colour in the fields of sugarcane which surround the town. Sadly, Tasia passed away in 2014, but Diamond, who turns 94 in August, continues to teach, to paint and to be an inspiration to generations of Zululand artists.